We rule in the area of tenders! We proved it by winning the next tender for all-year communication strategy of the loyalty program for one of the greatest PAYBACK partners – BP petrol stations network. We are going to be responsible for preparing and implementing the creative concept of 2018/2019 Prize Catalogue as well as for materials supporting its promotion on petrol stations and online, among others: the layout of BP prize Catalogue together with flyers, POS materials, Social Media communication strategy, banners for the website as well as mailings. It will be possible to admire the latest result of our cooperation with BP in the second half of the year on petrol stations, in social media as well as on such websites as bpkatalog.pl and payback.pl. 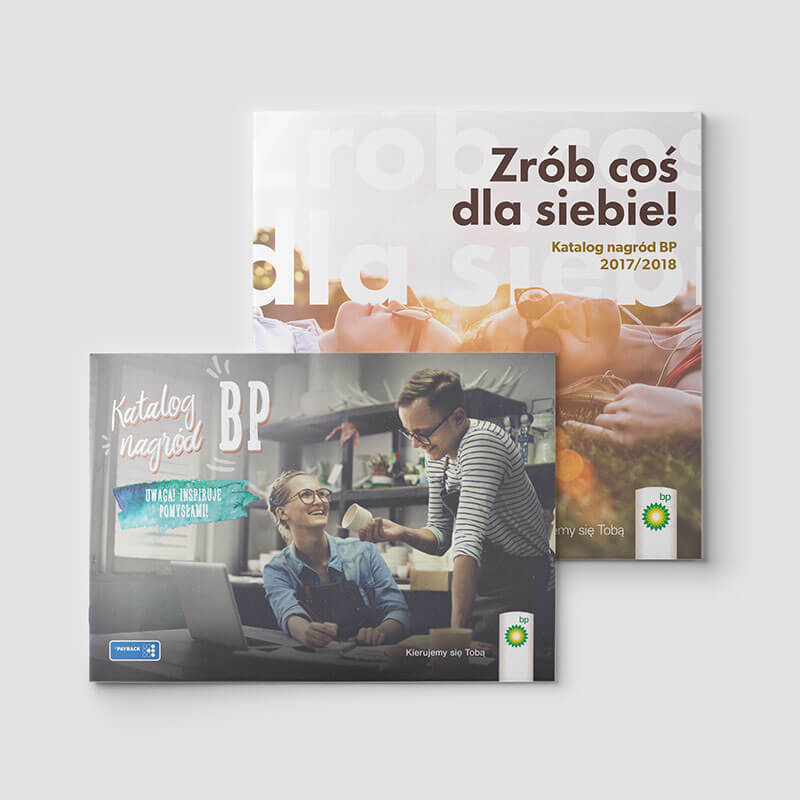 We have been providing BP, one of the biggest petrol stations chains in Poland, with marketing support already for 4 years. Our portfolio includes managing marketing communication of one of the biggest partners of the PAYBACK loyalty program in the years 2016-2018, which resulted in BP prize Catalogues with total circulation of over 2 million copies. PAYBACK is one of the biggest loyalty programs in Poland – over 7 million people are using it, including 3 million BP clients. The main element of this project consists in BP prize Catalogue offering the clients the possibility to exchange collected points into attractive products and take them home from over 500 BP stations in Poland or to have them delivered directly to a chosen address.